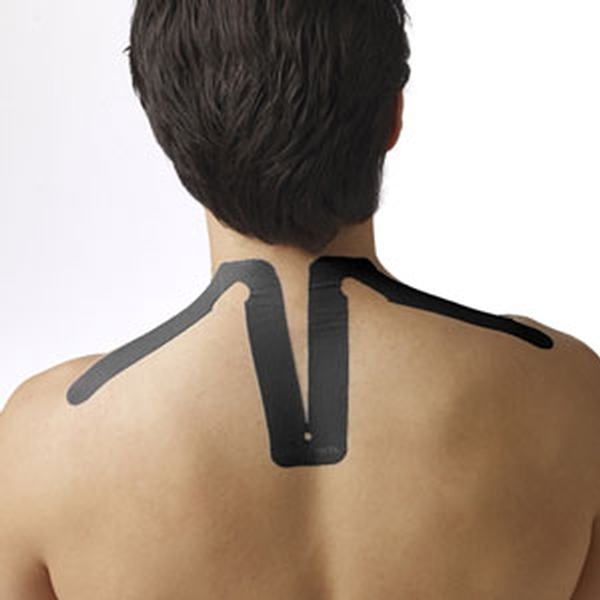 Convenient pre-cut kinesiology tape applications professionally engineered for the neck. No cutting; no designing—just a perfect application every time. SpiderTech® pre-cut applications, or “Spiders,” put the benefits of kinesiology tape within anyone’s reach. Every Spider is specially designed for a specific body part and features a one-piece construction for easy, uniform application. The Neck Spider supports the muscles in the neck without restricting movement. It relieves minor pain, improves performance and helps prevent further injury. 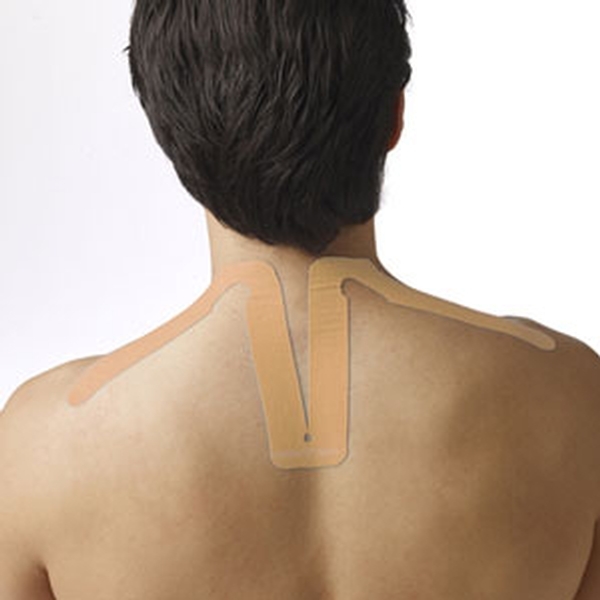 SpiderTech is an elastic therapeutic tape constructed of high-grade cotton with a 100% acrylic, hypoallergenic adhesive. It mimics the thickness, weight and elasticity of the human skin. It’s water-resistant, breathable and may be worn for up to five days. One application per package. Latex-free.